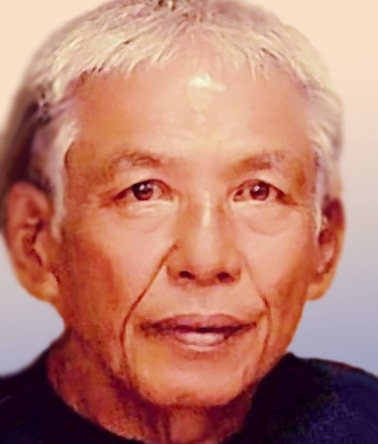 71, of Mililani, passed away on Tuesday, September 11, 2018. He was born in Honolulu, HI on March 29, 1947. He was born to parents Isabelo and Dolores Akamine Sambrano. He is the 4th child of 11 children. He graduated from Campbell High School then went on to join the U.S. Army where he completed his education and training at U.S. Army Ordinance Center and school for Auto Repair. He was awarded a medal for National Defense Service. He was currently working in Schofield Barracks as a Civil Service employee at Range Maintenance Branch for more than 30 years. He is survived by his wife, Aurora. Son, Creighton Sambrano. Daughters, Liana (Abraham) Timas, and Regina Cabais. Brothers and sisters, Bobby (Wilma) Sambrano, Rudy (Darnelle) Sambrano, Jerry (Sharon) Sambrano, Teddy Sambrano, Clifford Sambrano, and Steven Sambrano, Veronica Jackson, and Verna (Gordon) Kekahuna; 8 grandchildren and great-grandson; Nephews and Nieces. Services will be held on Thursday, October 11, 2018 at Our Lady of Good Counsel Church in Pearl City. Visitation at 9:30am. Mass will be held at 11 am. Lunch to follow at the church hall.